Neck disc surgery is very similar to back disc surgery except it occurs in the cervical region of the spine. The cervical region is composed of bones called vertebrae. The disc is a soft, gel-like cartilage which lies between each vertebra. When you move your neck, it is the disc which allows the smooth movement. If you should get hit on the head or faced, it is the disc which cushions the vertebrae. 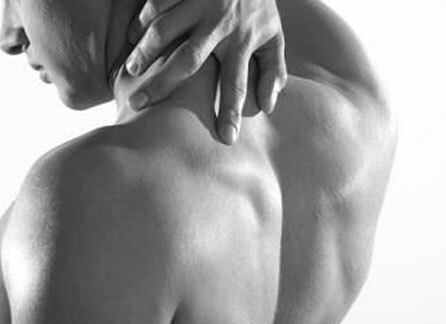 Whether through normal degeneration or from some form of injury a person may experience neck pain. This is because the degeneration or injury has resulted in the disc not being able to function properly. Most of the time non-surgical treatments will work. However if the pain continues for many months or there are other complications, the person may be a candidate for neck disc surgery. What is Neck Disc Surgery? Discectomy which is the removal of a portion of the disc to relieve the pain. Disc replacement involving the removal of the entire damaged disc and replacement with an artificial disc. Spinal fusion, the most complicated, in that the damaged disc is not only removed but the two adjoining vertebra are fused together using pins, plates, and/or bone grafts. The posterior neck disc surgery follows the same general procedure as back disc surgery. The surgeon will make an incision along the spine in the neck region. The surgeon will then move aside the intervening muscle tissue to reach the damaged disc. The surgeon is then able to work on the disc. Upon completion of the procedure the patient is sewn up and sent to the recovery room. With anterior neck disc surgery the procedure is much the same except more sensitive. That is because the surgeon makes the incision on the side of the neck so your vocal cords, oesophagus and carotid arteries are also exposed. Regardless, surgeons do prefer this approach. A new technique is being used as an alternative to the traditional invasive surgery. It is called endoscopic spinal surgery. In this procedure the surgeon makes a smaller incision. A special instrument which incorporates a light source, video camera, and tools is then inserted. The surgeon completes the procedure and sews up the small incision. The patient is then released and begins the rehabilitation programme. Neck disc surgery is available on the NHS. A patient seeking this treatment will follow the same process as any other surgical or hospital procedures. Private hospitals are also licensed to perform the surgery. Neck disc surgery at a private hospital would be in the range of £5,000 to £10,000 or more depending on the surgery and hospital stay. Most medical insurance plans cover neck disc surgery so the actual out-of-pocket expense is less. Neck disc surgery, like any spinal surgery, should be considered only after all other non-surgical treatments have been tried or if it is the only recourse due to other injury or disease. Deciding which neck disc surgery to have should only be done after consulting with your GP and surgeon. A further consideration would be whether to use an NHS or private hospital. Much of that decision would be based on whether you can afford it or not. Another consideration would be the waiting time for NHS. No matter how you decide or where you have the surgery performed, be prepared to spend time recovering and rehabilitating to get your discs back in shape.